Syllabus of the Online Course (Subject): European Union-Ivory Coast Free Trade Agreement (FTA). The course materials are available in Unión Europea-Costa de Marfil Union européenne-Cote d'Ivoire Costa do Marfim. The European Union-Ivory Coast Free Trade Agreement (FTA) should allow the international trade (exports and imports) continuation between the European Union and Ivory Coast (West Africa) in anticipation of an Economic Partnership Agreement. 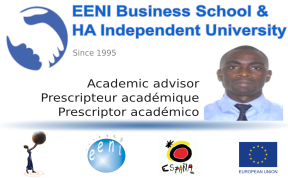 More information about Ivory Coast (African Portal - EENI Business School & HA University).